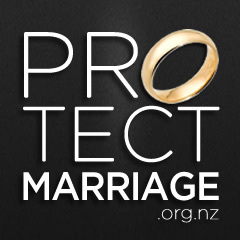 Family First NZ is labeling a radio station’s Valentine’s Day promotion as tacky, degrading, and harmful. The Rock radio station in Auckland will host a husband telling his unsuspecting wife on Valentine’s Day that he is divorcing her – live on air. “To subject an unsuspecting spouse to this type of news live on air is degrading and humiliating to the spouse, and minimises the harm that divorce can do to all parties involved,” says Bob McCoskrie, National Director of Family First NZ. Studies have shown that divorce can have huge impacts on physical and mental health, and can result in economic hardship, loneliness, and feelings of rejection. No divorce is ever easy — even if the partners are in total agreement about the need for a divorce and will be friends when the marriage ends. Assets must be divided, friends and family must be informed, and in the most serious cases, custody of the children must be determined. Family First is calling on MediaWorks to cancel the promotion.